Well it’s only days till my trip is over. And I’m glad I’m getting the chance to gorge myself on cheap seafood in an idyllic location once more. This is the way I started the trip so it’s a fitting way to end it. Sadly, as we having a few drinks most times I got few photos. The one I did get was of this great platter with – Grilled mackerel, tiger prawns, Blue swimmer crab, scallops and squid. All served with a tangy lime and chill dip. Simple. Just grilled – In fact most Thai food is like this – and get this, only £7. Apart from this we ate whole snapper, tuna, mussels, and anything else we could find that was going to be alive just before it was cooked for us. Fresh is best. 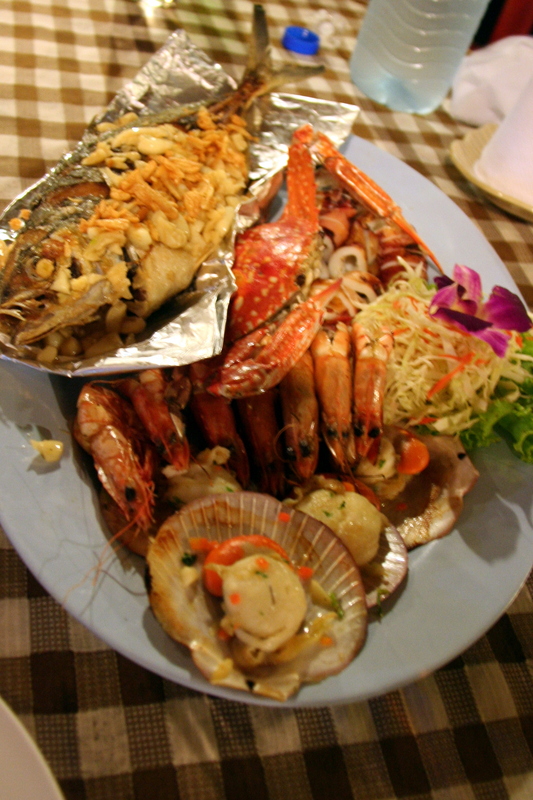 As well as great fish the other tasty treat on this paradise island is the great Isaan food. A lot of people from this poorer Northeast area of Thailand migrate all over the country bringing their food with them. 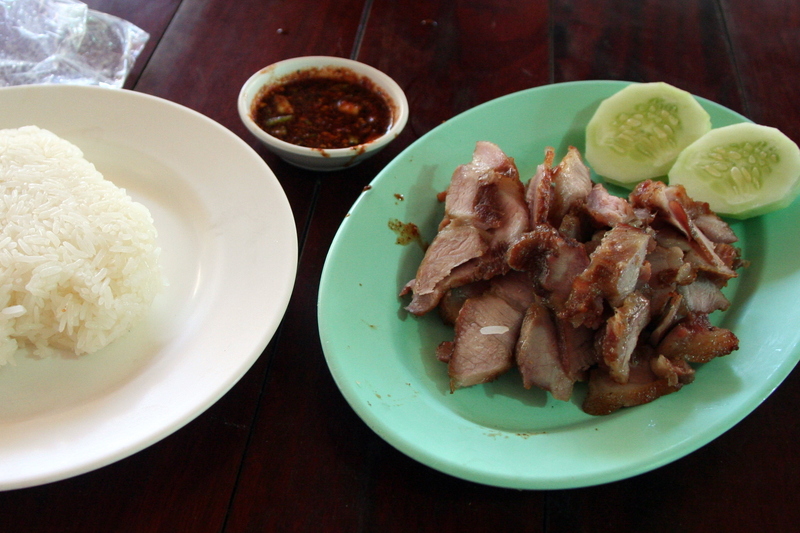 First thing in the morning in lots of these places catering to locals – and a few whiteys – they start grilling chicken legs and pork shoulder till it’s tender and serve it with some sticky rice, fiery papaya salad, and some incredibly spicy dipping sauce. Another great way to start the day, and another incredibly healthy balanced meal. Why can’t I have this for brekkie all the time? 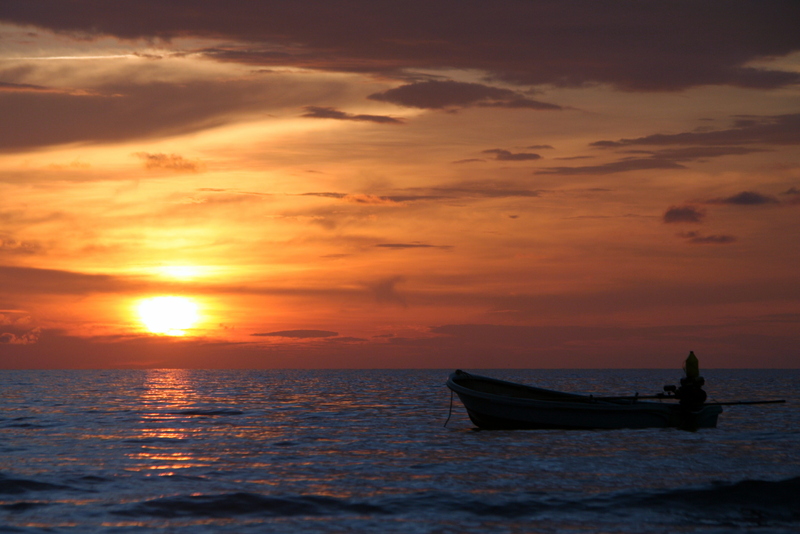 Apart from the fish though, Koh Chang is a great alternative to the Southern Gulf and the Andaman coast. 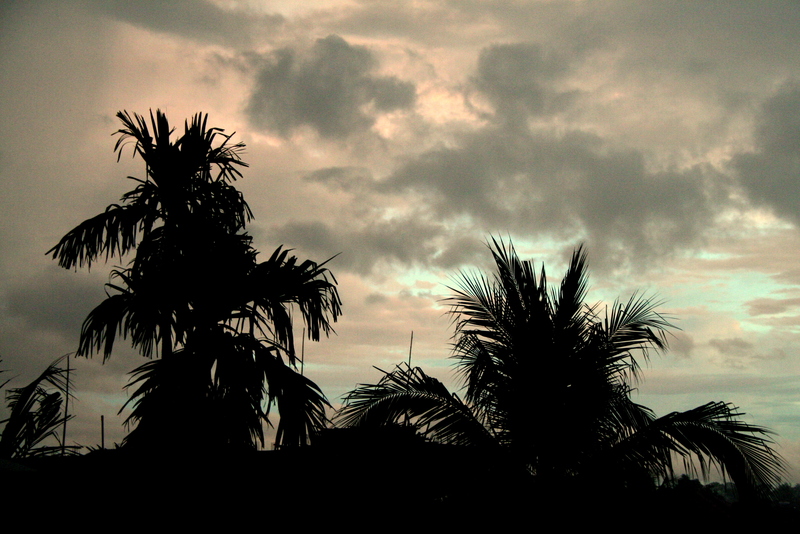 It’s still built up along the western coast, but there is a pristine jungle interior and a much quieter East coast. There’s also the quiet fishing village of Bang Bao – where all the good fish is!! It’s only five hours from Bangkok – Get yourself there next trip.